The most common cause of hair loss in men is due to androgenic alopecia, the early stages of which can be slowed or reversed with medication; while more advanced cases may be amenable to hair transplantation. Androgenic hair loss is due to the activity of androgens, predominantly DHT, at the dermal papillae of the individual follicles. In adult men, its incidence is roughly equivalent to chronologic age, and it has a strong genetic component. The physiology is primarily androgenic, with dihydrotestosterone (DHT) the major contributor. Androgens are important in male sexual development around birth and at puberty. They regulate sebaceous glands, apocrine hair growth and libido. With increasing age, androgens stimulate hair growth on the face, but suppress it at the temples and scalp vertex, a condition that has been referred to as the ‘androgen paradox’. 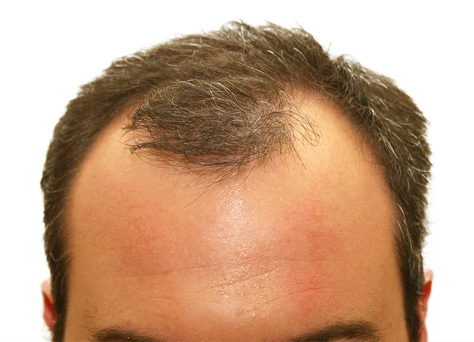 The cost of PRP Hair Loss Treatment can be considerable, as more sessions may be needed to obtain the desired result. PRP Hair Loss Treatment is also being used in conjunction with some hair transplant procedures.